Beyond simply dropping amiibo into stores and saying "look, Nintendo characters as collectible toys", the big N has also been trying to produce free software to tempt Wii U and 3DS owners to pick up some figures. 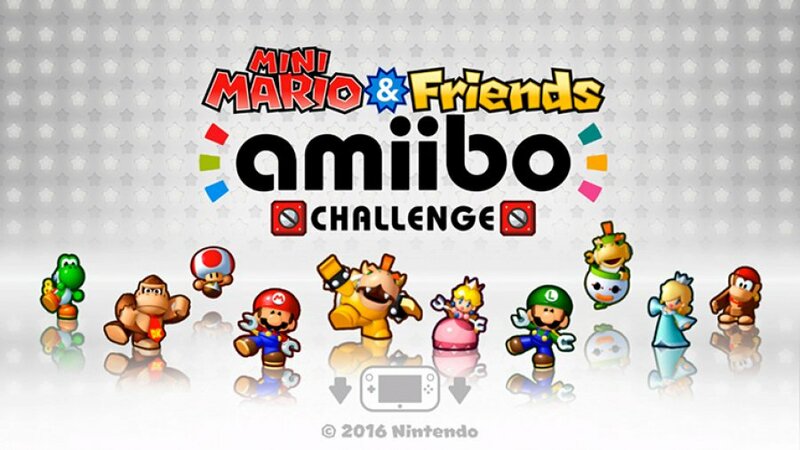 We've already had amiibo Tap: Nintendo's Greatest Bits, but that was an oddly flawed and arguably rubbish app - thankfully Mini Mario & Friends: amiibo Challenge is far simpler in concept and provides some nice entertainment at no cost. The core gameplay, unsurprisingly, brings this in as a spin-off to the Mario vs. Donkey Kong series, which has established itself as a solid and charming franchise. The approach here is a little different in that there's no underlying plot or rivalry, but this is simply a collection of puzzle levels designed to put your amiibo collection to work; it does so in some fairly imaginative ways. For starters, this free app won't let you play in any way if you don't have any amiibo figures. We tried a random Animal Crossing: Happy Home Designer amiibo card and it came up as incompatible and wouldn't start the game. You need an actual figure, and they all seem to be supported - we trialled the Shovel Knight amiibo which would be the most likely to be rejected (as the only figure produced by a third-party) and it worked. When you scan a non-Mario series figure you play as a cute little cube called Mini Spek, which has no special abilities and simply marches along. 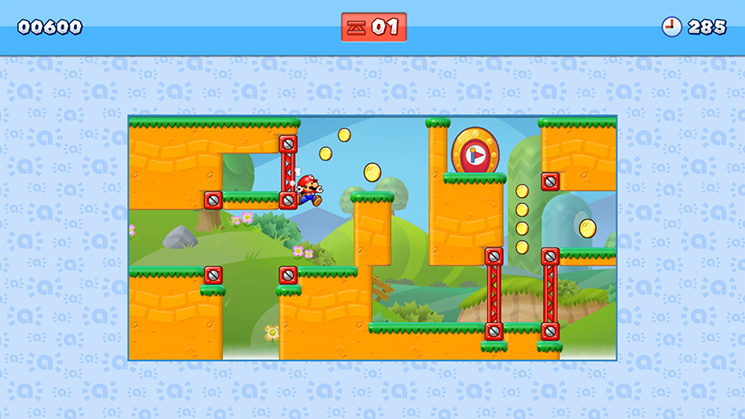 Anyone who's played previous entries in the series knows what to expect, as you manipulate and place environmental items to guide your character through a course to grab coins and reach an exit. From classics like girders, to springs and warp pipes, you use the stylus to tap and place items (or speed up your character) while using an analogue stick to look around larger stages. Your attention is largely fixed to the GamePad, with the TV showing a handy wide view of the whole stage that can be used for reference. We rather got used to treating this as a GamePad-only game, but with tougher stages the TV can be useful for planning a route. Part of the series formula is the time pressure of clearing a path as your toy relentlessly marches on, and this game plays up to that. If you only have non-Mario series toys you can play 12 stages in total, which is decent for a free download, and that'll be your lot. They're decent stages, too - they won't take long and they're far from the best the series has offered, but as a throwaway download treat they're not bad. The game opens up a lot more when you have Mario-themed amiibo. 10 of the 12 core stages have an alternative exit that can only be reached when using certain characters; reach that exit and you have four special stages for that character. On top of that the core stages have two collectible 'amiibo cards' that can only be reached with a specific characters, so those seeking 100% completion will need amiibo for 10 Mario universe characters and will play each core level three times. Those replays, along with the unlockable batches of four special stages, mean there's plenty of content. This writer had half of the required amiibo (the Yarn Yoshi and Pixel Mario toys do work, for reference), and in general the special stage areas were nicely done. Each character toy has unique abilities (Mario can wall jump, Bowser stomps downwards, Toad squeezes through narrow gaps etc) and these stages play up to them. There are some clever moments that raise a smile, and a handful that are rather flat and unimaginative by comparison. We suspect this project allowed some less experienced developers to cut their teeth, as the quality of stage design wavers from excellent to mediocre, and various levels in-between. The use of different abilities is a neat idea, though, and this game does give one of the nicest incentives to break out the amiibo collection. There are fun stages to tackle here, and by collecting enough amiibo cards throughout the stages you can unlock more stages at the end; these get rather tricky, which is a good thing with unlockable post-game extras. The presentation here is decent, though not impressive as such. 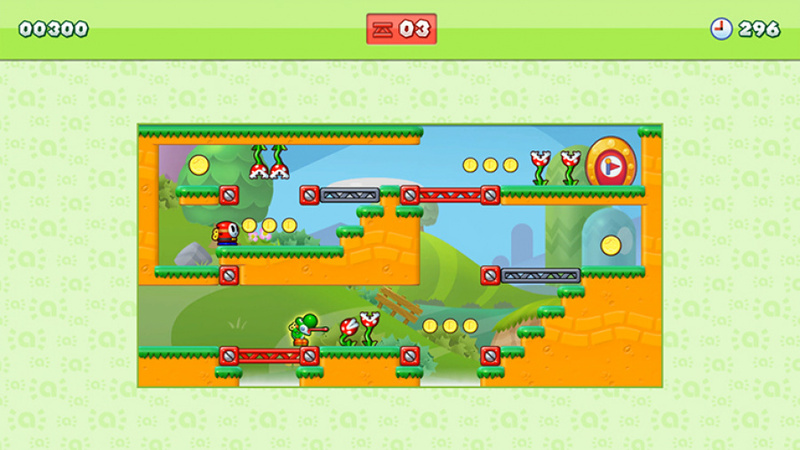 Nintendo actually showcased a version of this at GDC 2014 to demonstrate Nintendo Web Framework tools, and a few of the flaws of that platform come through to suggest this final product is using that setup. There's occasional framerate stutter (mostly at the start of a stage), and general visuals and audio are sufficient for the job and little more. That's not exactly a complaint with a free app, but it's worth setting expectations for the lower end of that 'Nintendo Quality' spectrum. SCamiibo! I had to say it. It's not really a free app, it requires that you at least buy 1 amiibo. And you need to spend at least €150 to experience the full game. It could even be a new series of its own! "Super Smash Bros.: Adventure"! Come on Nintendo, make it happen! It's pretty boring honestly. I stopped playing after ten levels or so. I played a bit with Yoshi and Diddy and then I had enough. Whelp, I'm lucky to have an amiibo. Played as the gray box character on my 3DS. It was a quite fun while it lasted. But the rest of the game is pretty much inaccessible for those who do not collect the figures. And definitely not worth buying any of the supported by the game Amiibos. It's a good bonus game for those who already own those tho. @KTT I agree, having the game and several of the Amiibos it was an awesome FREE GAME for me, but I wouldn't encourage someone to buy even 1 Amiibo to get it (nevermind 10+ to get the entire game). However, they keep adding small incentives like this and over time they pile up and I keep slowly buying more and more. I'm the guy that buys them to play so when there's enough game content across all the games they work with to justify the $10 for me then I buy 1, but until then I don't worry about it. It doesn't even save the amiibos into the game, so if you want to come back to it later, or play it on a trip you would need to bring amiibos with you. @helbertpina "Can you imagine a platformer built on the 3D World engine,"
Hadn't thought of that, but my kids and I agree the Xenoblade Chronicles X world should be re-used for a Pokemon game on the Wii U. It's a big beautiful world, seems like an easy money maker by repopulating it with some Pokemon and having to search all over for them. I was enjoying this, but stopped playing when both of our Skylanders amiibo - Bowser and Donkey Kong - only let us play as Mini Spek in the game. And 1 of them appears in SMM as the SSB line, the other appears as the SMB line, so at least one of them should work in this game. I feel lied to by Reggie in that E3 NDE, but what else is new? And before anybody asks/suggests, yes we rotated the base to "amiibo", when it's set to "Skylander" it doesn't register at all. That's how I got them to register the skins in SMM so they are Bowser and DK amiibo, this game just doesn't recognize them as such. There are only 2 Skylander amiibo models, surely they could make the game work with them without too much difficulty. My Silver Mario and Green Yarn Yoshi both work as they should, as Mario and Yoshi. Oh, the Shadow Mewtwo card from Pokken Tournament doens't work either, but we didn't think it would. Just in case anybody is planning on trying to play the "main game" with the card. I've played a bit of it, and have 7 compatible amiibo. I've also played the previous Minis games. It's ok. Its a nice freebee. I'd rather play a game like this on my 3ds--its a bit slow for a console television game--but its fine. I'd give it about a 6.5 or a 7 score similar to NL. It's a pretty much spot on review, I've got the entire line of amiibo this game asks for though and play it bit by bit on occasion. I've got all of them, I might as well try beating the game 100% since few will have that luxury. Having such a large number of stages locked behind amiibo is a bit concerning, with very few available to generic figures. @rjejr Odd, I just used the Donkey Kong one and it works as advertised. Bowser worked fine as well. @unoclay There actually is a 3ds version. However, you need either a N3ds or the portal thing. yeah, the game just feels like Mario vs DK: Tipping Stars with amiibo support, if that the case then i'll just keep Mario vs DK: Tipping Stars and not play this that much anymore, although it has other characters from this that not from tapping stars. This game can be fun... if you have all the proper amiibo that is. I think this game is only to "encourage" people to buy more amiibo to play the game fully. If you bought every single amiibo for this game specifically, you'd be paying WAY too much for this "free-to-play" game. You'd spend well over $100 in order to play the whole game, and even then, it's not that good. @Spoony_Tech Really, you got both Skylander amiibo to work as DK and Bowser in game? Did you get the game early or last week? I got mine about 2 weeks before it was free - $5 girl inlking for my wife for Mother's Day - and had been considering deleting it and redownloading it. Guess it's worth a shot. Thanks. @Shirma_Akayaku But the idea was never to have people buy amiibo for this game alone? So reading it that way would of course make it a ludicrous investment, this is just Nintendo trying to find cheap ways to give people more for what they already paid for. And using the Mario line makes the most sense since they are the most compatible and widely available of the amiibo. No one should be seeing this game as anything other than a bonus. @Radbot42 You answered the only question I had. I used a Diddy Kong amiibo from my brother the other day, and I haven't logged back into the game since to see if I can still play those levels. So it turns out I cannot, and every time I want to play, I've got to scan the amiibo? That's lame! @RoomB31 I know. That's why I said "if". I know the idea is to use your currently bought amiibo for something, like a bonus, but there are people out there who will buy all the amiibo for this game. This game as a whole however doesn't offer too much content. It's a problem to me because if someone already owns all the amiibo for this game, they won't be getting much out of it. I know the idea behind amiibo is to use them across multiple games, but this game is based around amiibo in a way that isn't beneficial towards the average consumer. I'm not going to waste my time and storage on this. I'd rather play a much better game! @Thomas - Pretty sure I got to play 13 stages (1 from the second area) before I had to use my Mario amiibo. Review reads about right and I've got a group of friends who are trying to beat the 3DS one by sharing our collections of Mario characters. I would give it about a 7 myself. I thought a lot of the level designs were fresh, and I liked how each amiibo got their own music and ability. I found this game to be much more fun than Tipping Stars, which is rather disappointing. Tipping Stars best feature was the level creator, in my opinion. Anyway, amiibo challenge isn't bad for sure, but it's not really a full game either, which is why I agree with the score it got. When I first saw the level designs it reminded me of Gyromite (not exactly sure why). Then it made me think it would have been a cool concept to have the Amiibo work like ROB did in Gyromite to beat the levels. If you actually have friends in real life, you can use their amiibo too. I recently used my friend's Diddy Kong amiibo to unlock his levels and obtain the amiibo cards. I love the Mario vs DK games, and I have most of those amiibos, so this perfect for me. It was nice to play through character-themed stages. Some nice song remixes on there too. Luigi's Mansion remixes are the best! Some sweet DK music too, of course. @SLIGEACH_EIRE To say "at least" is being false and sensationalistic. Now, I'm not defending Nintendo's pricing of amiibo, but you're quoting the maximum cost of experiencing the entirety of the game. I don't know the retail situation in Europe, but amiibo are often on sale in Australia (and are available at around half price). I can't imagine anybody buying amiibo solely to experience this sort of game though. I think a game that recycles Super Mario 3D World's engine and utilises amiibo would be a far more tempting proposition. @sillygostly amiibo are €15 each and very rarely on sale. Are they selling badly in Australia? Times 10 for each amiibo. It's also not false or sensationalistic. You do have to buy 1 amiibo or you can't play it. And you can't complete the full game unless you own each specific amiibo. I tried it myself and I was actually surprised that this was a full and decent puzzle game. Nice way to use the amiibos. I'll definitely continue playing it! I'm fine with stuff like this. If you buy amiibo, you deserve a little reward here and there. @SLIGEACH_EIRE : Stating that it costs "at least" €150 is false. €150 is the maximum cost. Not the minimum. 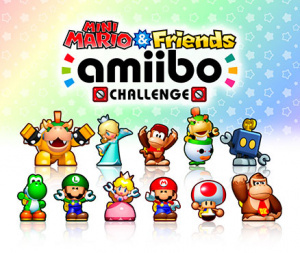 Nevertheless, I can't imagine anybody buying all 10 amiibo just to play this game. Anyhow, I think that amiibo were moderately successful in Australia when they launched in late 2014, but I think that Nintendo overestimated their demand, and they are often on sale at 40% or 50% off. Some stores have been clearing them out for even less than that just to get rid of them. I wouldn't say that they are doing "badly" per se. It's just that the major retailers, or perhaps Nintendo of Australia themselves have overestimated demand for them. We are a very small market, after all. @sillygostly No, €15 is the cheapest you can buy amiibo if you can get them. So when I said at least €150, I mean that's that's the least amount they would cost. Smyths is what I was referring to here in Ireland at €15 but Gamestop charge €2 more each. @SLIGEACH_EIRE in the US, amiibo are often for sale at Toys R Us or Besbuy. It's not uncommon to see them for as little as 7 or dollars. Especially Mario line amiibo are for sale all the time. That being said, I don't think Nintendo is expecting people to buy amiibo for this game. It's a fun little bonus that they threw together for amiibo owners. @Indielink I tell you if amiibo were ever the equivalent of €6 here, even I, their least favourite fan, might consider buying a few. I say this as someone who's inadvertently managed to acquire 5 of them. @rjejr I got my version when it was free and just opened it up today to check those Amiibo's. I do have a new 3ds though so I don't know if that makes a difference. @SLIGEACH_EIRE I have screenshotted a couple of sales I have found, there was Luigi and Peach for 10 dollars US and Lucas for like 6.75 US. Once I'm not on mobile I can post them for you. @unoclay I didn't know you were on Nintendo life! Ha! @Indielink I'm not doubting you. I'm saying no amiibo sale like that has ever happened here. The best offer we've had is 2 for €25 in Smyths and that was on a selected range. That was some time ago. I have to say I think this game is great. I've always loved the Mario vs Donkey Kong Series, and it's great to get a free version of it! I'm just glad I have all the required Amiibo! This game is a pretty good time killer. I have a bunch of amiibo, but only Mario and Toad for this game. Might pick up more characters to experience the rest of the game. @Spoony_Tech Thanks, I meant to check it on my Wii U but got distracted by dinner, I'll give it a go tonight during the Met game. We have 3 old 3DS but no portal yet, looking into getting one for Kirby. Something to put my collection to use in. Sounds good. I was expecting a 7/10 or 8/10, so this is spot on. Honestly, if people can look past the amiibo implementation, it's a good game, honestly! "App" is such a derpy word. I give it a 6.. I'd rather play Lemmings. It's free since I already had all of the amiibo, so I might as well use it. Sure, IF someone actually wants to buy amiibo to play this game. But... Nobody is gonna buy amiibo to play this game. It's the other way around. You don't spend $150 on amiibo to experience this game. You get this game for free to enjoy with your already purchased amiibo. 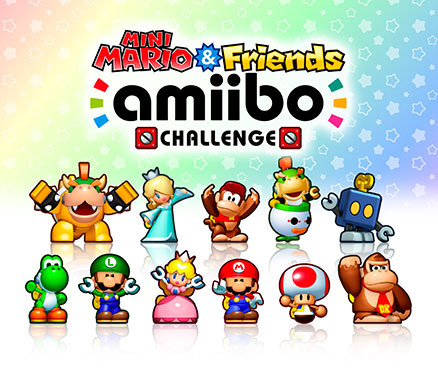 And since those amiibo have already been purchased before people even knew what this game was, it's free. How much of it you get to experience will be determined by how much you already spent on existing amiibo. The reviewer uses the word "free" faaaaar to often! It isn't free, you need at least 1 Amiibo! A Amiibo costs you 12 Euro (?!)! I think Nintendo is run out of idea for making better games. Why is Nintendo focusing on amiibo so much ? They forget the focus of Wii U abilities. Wii focus on motion gameplay, relaxation games (resort, diving, free roaming games), fitness and parties. Wii U too much focused on gamepad, amiibo, some genre that remind us about Gamecube. Despite of good review, but I think Wii U games lack of diversity, unlike Wii. I have a few Amiibos that would be compatible with this, but I'll likely never look into it. Only Mario vs. Donkey Kong game I like is the one that doesn't center everything around the Minis so not really inclined to try out another one. The question I ask is, is a game value for money. This one is not value for money. But NL don't seem to take this into account when adding a score. Have you ever bought a cheap toy and got a free box of corn flakes; no, neither have I.
Nintendo is a respected (although less so at the moment) games company who have started to give away free games if you buy one of their toys. Thankfully this Amiibo craze will be short lived and hopefully gone before we need 10 Amiibos to play the free Mario Kart NX game. I have a Hammer Slam Bowser that gives me Bowser on the 3ds version, but the robot on the Wii U. @InfernapeKing97 Thank you for the comment. Nice to know I'm not the only one. We can't try out our amiibo the 3DS version b/c we own 3 old 3DS but no portal. Thing has been $20 since day 1 and I haven't seen a good way to purchase it yet. And we really don't need it yet, my kids and I don't play Animal Crossing. Wish they would bundle it w/ a game like Kirby Planet Robobot for an extra $10, that game seems to make pretty good use of it. Oh well, I'm sure Target will clearance it out eventually. Thanks again. @rjejr Yeah, I did have the NFC reader myself, but I traded it in to my local Grainger Games last week as I no longer have use for it myself due to getting an n3ds for Christmas. I don't know why it happens either. Honestly, the levels are really bland and uninspired compared to the other Mario vs. DK games, and the special powers are just gimmicks. My score would be 5/10 maximum. Well, thanks to Target claiming Rosalina as an exclusive, then getting about 3 of them before selling out it seems, I can never finish this. Right now the only availability is to spend a ton on one imported from Europe or Japan, and it's just not worth it to me to spend any more than the base Amiibo price just to do four more levels and get a few more tokens. How about an update that lets you select a "pinch hitter" for any Amiibo that they just couldn't distribute enough of? Couldn't ever find a Rosalina? Ok, then you can use your olimar to play her levels. Either way, it's a bit unfair to come out with a game that requires the use of a specific character months after that character becomes a rare, overpriced collector's item you have to compete with others just to buy from the other side of the globe. But hey, free game aside from that.